On this day: 40 years ago, the first operational General Dynamics F-16A was received by the 388th Fighter Wing at Hill AFB, Utah (January 6, 1979). Four decades on the F-16 remains the most prolific fighter in USAF service. Ainda não é desta que o Super Tucano entra no inventário da USAF. Como eu sempre digo "até ao lavar dos cesto é vindima"e tanta gente do outro lado do mar que colocou a "carroça à frente dos bois". O início da competição para fornecer aeronaves de ataque leve para a Força Aérea dos EUA foi adiado para um futuro próximo, já que o serviço decide o rumo para experimentos adicionais, disse o número 2 da Força Aérea na sexta-feira (18/01). According to the Air Force’s Chief of Staff, the service could buy improved F-15 fighters if the money is there in the 2020 defense budget. AF.mil. 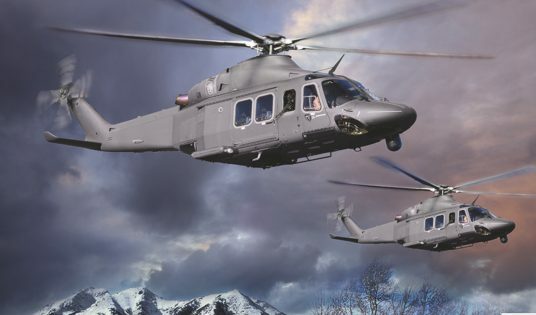 Sept 2018, Air Force awarded the first portion of a $2.38 billion firm-fixed-price contract to The Boeing Company for a UH-1N Replacement helicopter. Strong competition drove down costs for the program, resulting in $1.7 billion in savings to the taxpayer,” said Secretary of the Air Force Heather Wilson. The award of approximately $375 million is for the first four helicopters and includes the integration of non-developmental items. This additional equipment integrated into the aircraft will ensure the helicopters are ready to meet warfighter needs upon delivery. The total program cost for the UH-1N Replacement Program reflects the exercise of all options and provides for the acquisition and sustainment of up to 84 MH-139 helicopters, training devices and associated support equipment to replace the legacy UH-1Ns. The new helicopter will be an important tool for Airmen charged with securing and defending the nation’s intercontinental ballistic missiles. The Air Force will also use the aircraft for training, test and operational support airlift. Depois das recentes fotos na semana passada que mostram um F-117A a sobrevoar a zona do Vale da Morte, na Califórnia, em plena luz do dia, eis que a Scramble vem agora afirmar que 4 aparelhos foram utilizados em combate secretamente em 2017, tanto no Iraque como na Síria, na luta contra o autoproclamado Estado Islâmico. Nessas missões terão sido empregues as GBU-39 Small Diameter Bomb (SDB). Fotos tiradas pelo fotógrafo Dan Stijovich na passada terça-feira, 26 de Fevereiro.